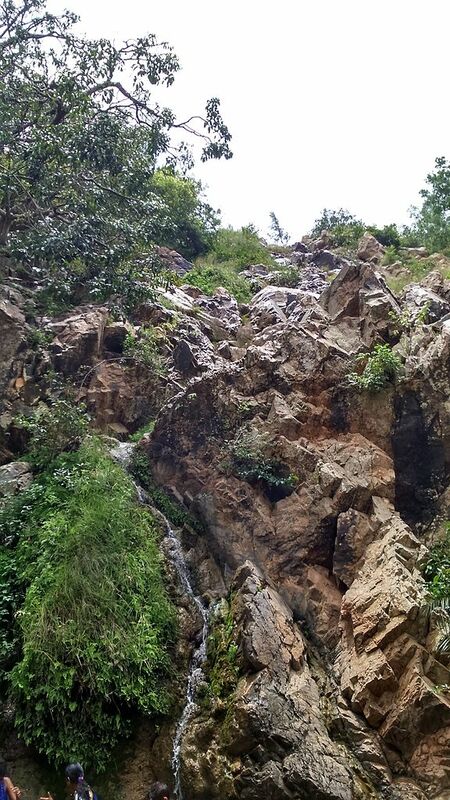 Muthyala Madugu, meaning ‘Valley of Pearls’ is famous for its 300 feet (90 metres) waterfall, which is sourced from the Onakanahalli Tank nearby. When the water falls from the top, it creates an illusion of strings of pearls dropping to the ground below. And from this fascinating effect came the name. The region is also home to numerous varieties of bird species and makes for a good bird watching trip. Since the tank is full during monsoon season, the waterfall looks its best this time around. As such, it is recommended to visit the place between the months of August and November. Plus, the pool at the base of the falls will also be full and makes for a good swim. For those interested in hiking, you can find a trail around the waterfall. Muthyala Madugu is located in the Anekal district, approximately 45 kilometres from the state’s capital Bengaluru. If you have a spiritual bend, then a visit to the Shiva temple is a must. In addition, temples dedicated to Ganesha, Hanuman, and Thimmaraya Swamy are also located nearby. The Ganesha temple is especially famous for a large monolithic statue of the deity carved into a pillar, while the Thimmaraya Swamy Temple is believed to be dedicated to an incarnation of Lord Tirupati Balaji. You can check into the ashram run by the Vishala Karnataka Sky Trust, which is well known for its peaceful atmosphere and rich, green surroundings. A place built by the Mysore Tiger, Tippu Sultan, it houses his grave, and the graves of his relatives. Styled according to various Indian and Persian traditions, the Gumbaz is located within the Lal Bagh garden, which is quite impressive in itself. Built in the early 1780’s, some of the doors of the Gumbaz are made from ivory, while the walls sport Tippu Sultan’s signature tiger stripes. Located at Mahadevapura in Mandya district, Gende Hosalli Bird Sanctuary is a place you will enjoy if you take pleasure in observing the different types of birds. The majestic Kaveri River flows through the dense forest and is a popular shooting location for many filmmakers. Plus, there is also a 600 years old Shiva temple in the village. There is also a small picnic spot located close to the falls, which can be a good place to take some rest with friends and family. Trains from the Bengaluru City Railway Station will take you close to the location. Check out with the station the times and trains. From Bengaluru, you can take KSRTC buses which are headed towards the waterfalls. If you are driving by yourself, head over to Hosur by taking the NH7 and reach the Anekal –Thally road. Take a right turn from there and you will soon be reaching Muthyala Madugu. The nearest airport is the Kempegowda International Airport in Bengaluru, which is situated approximately 75 kilometres from Muthyala Madugu. You can hire a taxi from the airport. The place is also known by the variation Muthyala Madavu. So, keep this in mind when asking for directions.